Download "Arrow Making 101. Lord Janyn Fletcher"
2 CLASS AGENDA Introduction Advantages of Arrow Making Components Review Spine Explained Forward of Center Explained Arrow Design and Creativity Lets make some arrows! 4 Increased accuracy Ability to weight match shafts Ability to spine match shafts Ability to custom make your arrows Able to design whatever you wish for color and design Able better tune your arrows to your equipment Better selection of components Don t have to take what is available Can select what you really want to use You can experiment with new designs It s fun and rewarding! 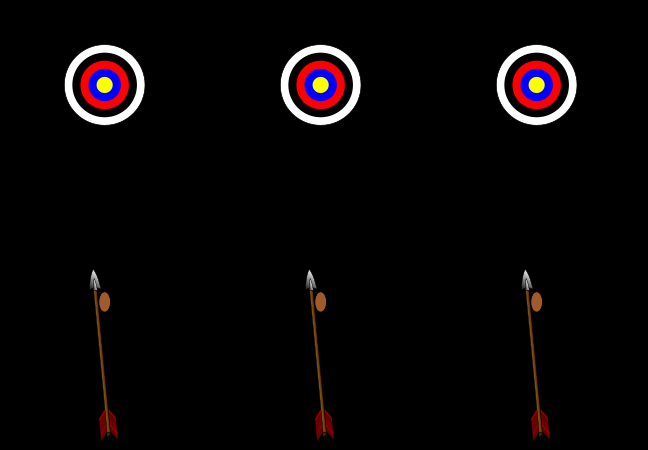 6 Arrow Description About the Arrow: Arrows have four parts; the shaft, fletching, the nock and the point. The Shaft: Arrows are made from wood, aluminum, carbon, fiberglass or a combination of these materials. As suspected, the wood arrows are usually preferred for use with traditional longbows or recurve bow hunters. The tubular aluminum are most popular for Bowhunters because of their light weight and strength. They can accept either plastic vanes or feather fletching. The tubular carbon arrow is also know for its speed, light weight, and accuracy. It is smaller in diameter than other arrow shafts. The Fletching: Serves to guide the arrow on a straight course. The Nock: Placed in the bowstring to allow the arrow to be drawn back as the hunter draws the bow string. The Point: Depending on if you are target practicing or hunting, you will use either a field point or a razor-sharp broad head. 7 Arrow Building Components Wood Arrow Shafts Wood Arrow Shafting: Wood arrows come in many different types of wood, (Port Orford Cedar, Sitka Spruce, Ash, etc ) They also come in various sizes, 5/16, 11/32 and 23/64 s diameter. Hex Arrow Shafting: A new technology using a hybrid construction technique. Typical Arrow Shafting: Typical grain pattern for most wood arrows. 9 Arrow Building Components Points Field Points: Field Points come in various sizes and weights. It is important to pick the correct size and weight for your application. Brass Points: Brass Points come in various sizes and weights. It is important to pick the correct size and weight for your application. Brass points are more expensive to use. Bodkin Points: Bodkin points, although being period are most times not allowed on the ranges because they destroy the targets and backers quickly. 10 Arrow Building Components Nocks Classic Nocks: Classic nocks are good nocks and work quite well. They come in different sizes and colors. Snap Nocks: Snap nocks are also good nocks, but they lack the index tab on them. Also they are designed to snap on your string. 14 Arrow Spine Explained Static Spine is basically a measure of the stiffness of an arrow shaft. More accurately, it is a measure of the deflection a shaft exhibits when a two pound weight is suspended from the middle of the shaft when the shaft is supported at two points 28 inches apart and the shaft is rotated so that the grain of the wood is vertical. This measurement is generally made with a device called, surprise, a spine tester. 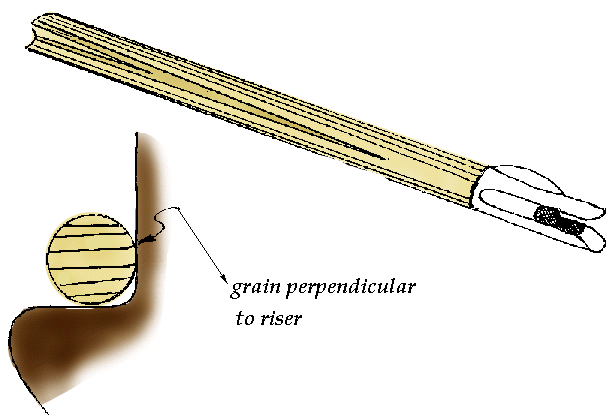 It is important that the grain of the shaft be oriented properly since a grained material exhibits different stiffness with and against the grain. Arrow shafts are measured to determine the greatest stiffness and that measurement is across the grain. 17 Arrow Spine Continued Key properties of arrow spine: Selecting arrow shafts for your bow is a little more complicated than simply buying shafts with the same spine rating as your bow weight. There are a couple more things that affect the effective spine of a completed arrow. The first is the weight (mass) of the arrow head or point. The heavier the point of an arrow, the lower the effective spine of the shaft. This is because of the increased inertia provided by the greater mass. With a heavier point, acceleration of the arrow will be slower, and more energy will accumulate in the arrow shaft reflected in greater bending and a lower effective spine. All other things being equal, an arrow with a 30 grain target point on it will act like a more heavily spined arrow than the same arrow with a 125 grain field point. The second thing that affects the effective spine of an arrow is the efficiency of the bow. All bows of the same draw weight are not created equal. Certain bows will put significantly more of its stored energy into an arrow shot from it than someone's else bow. Once again, more energy in means more bending during acceleration and a lower effective spine. One more thing to remember is that spine is measured over 28 inches of the arrow shaft. If your draw length, and consequently your arrow length, is significantly different than 28 inches, the effective spine of your arrow shafts will be different. The rule of thumb here is that you require about three to five more pounds of spine for every inch increase in arrow length over 28 inches. You require two to three less pounds of spine for every inch decrease in arrow length under 28 inches. Stiffness increases faster as a shaft is shortened. 19 Forward of Center Explained What does weight forward of center mean? The common answer is: FOC represents how far forward the arrow s balance point is from the shaft s midpoint or the mid-point of the arrow s total length. FOC is specified as a ratio of balance point to shaft s (or arrow s) mid-point; in percentage. Dist. knock throat to Balance Point %FOC = minus 0.50 X 100 Shaft Length Static spine tells nothing of an arrow s dynamic spine. From it one gleans only an indication of relative stiffness. What it does do is provide a reference point. This helps when one needs to move to a stiffer or softer spine. It allows comparison of shafts; relative to each other. This is why tuning arrow to bow is important. 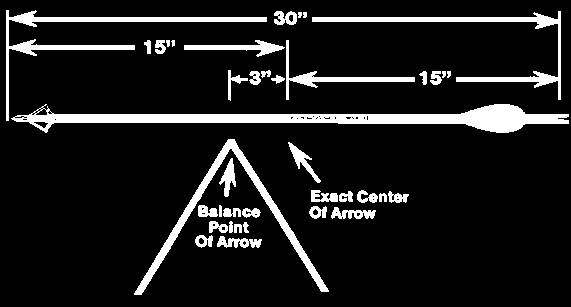 No static measurement or calculation contends with the myriad variables encountered when one shoots an arrow from a bow. That s why, besides charts, Easton publishes 35 instructional pages on attaining the right arrow. Charts provide no magic number saying; Pick me. I m the right one! 20 Forward of Center Explained How do I change my FOC? Once you have calculated your FOC for your arrows, you can easily change your FOC percentage by increasing or decreasing your point weight. Please remember that changing your point weight will also change your spine of your arrow to some degree. 24 Arrow Making Tools (Stains) Alcohol based stain: Great coverage, compatible with gasket lacquer. Aniline Dyes: Designed to be used for woodworking and leather craft. Many colors and also compatible with gasket lacquer. 25 Arrow Making Tools (Gasket Lacquer and Dipping) Dipping Tubes: Great crest coating and shaft sealing system. Designed to use gasket lacquer. Gasket Lacquer: Designed to be used with dipping tubes and gaskets. Great finish, great protection, not cheap to use. Dipping Lacquer: Designed to be used with dipping tubes but no gaskets. Must be thinned properly and arrows allowed to dry. Is not compatible with other than Boning products. 26 Arrow Making Tools (Cresting) Bohning Pro Crester: Good cresting jig. Works well but lacks support for un-straightened arrows. Spinrite Crester: More professional grade crester. Provides complete arrow support and allows more fine lines to be applied to uneven arrow shafts. Cresting Paint: Can be any paint you choose as long as it is compatible with all of your other coating products. Can be cresting paint, Testors model paint, arts and crafts acrylic lacquer. 36 Step 3: Starting your design Either staining or Crest Dipping your shafts. Caution: Always flex your arrows before use. While Gold Tip makes the toughest arrows, they are only designed for shooting out of a properly tuned bow. They are not designed for standing or sitting on. Fine Tuning. By Alan Carruth Copyright 2000. All Rights Reserved.